On grounds where a Norman knight who fought alongside William the Conqueror once roamed, school children armed with pencils and clipboards learned about one of the most famous and important battles in English history. To mark the 950th anniversary of the Battle of Hastings, pupils from Sacred Heart School in Swaffham and Broadlands Hall School, near Haverhill, visited Castle Acre Priory yesterday to learn about the Normans victory over the Anglo-Saxons on October 14th, 1066. Castle Acre Priory, near Swaffham, was built for Norman Knight William de Warenne, who fought at hastings just a few years after that famous battle. English Heritage has welcomed five schools to the priory this week. 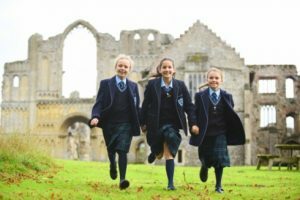 Pupils have toured the historic grounds and learned about Norman life, including stonemasonry, chart book exercises and traditional Norman market days. 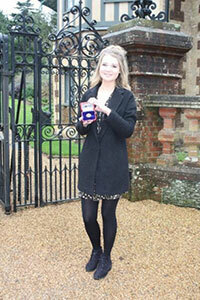 Students and historians up and down the country marked the 950th anniversary of the Battle of Hastings yesterday. The School has been mentioned in the ‘Cambridge News’ Education Column by Stuart Nicholson, the Principal of Cambridge Centre for Sixth Form Studies. 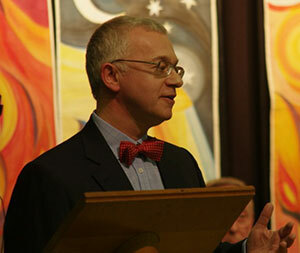 Stuart is a supporter of our school and was the guest speaker at our most recent prize-giving evening and talked about the most memorable moments from our school lives which are often the ones spent outside the classroom. In the article he writes: ‘This might seem a slightly unusual way to start a column, but could I ask you to close your eyes and think back to your school days and recall what was the most memorable and enjoyable event you can remember? I did a similar exercise during a speech at prize giving at Sacred Heart School in Swaffham recently. It’s a school I’ve got to know well, and like enormously, and felt confident that this slightly unusual speech to pupils and parents would work. Before I allowed them to open their eyes I asked the parents to put up their hands if that memorable event had not actually been in the classroom, but outside. Hannah, from King’s Lynn, said: “I am really flattered to have received this award and honoured to be presented it by The Queen. I have had a fantastic two years at KES Academy and I am delighted with the outcome of my results.